I am writing to thank you for installing our new kitchen in January this year. The very high standard of the units and surrounds has helped us to create a fully operational kitchen for our full time cook (who is delighted). In particular the slow closing technology is really fancy as well as helping with functionality. The work was carried out in a very short timeframe due to our operational times and the new kitchen left completely clean and tidy and ready for use on Monday morning. The work was finished to a high quality and we are very pleased with the outcome. Thank you for supplying and fitting our new kitchen. 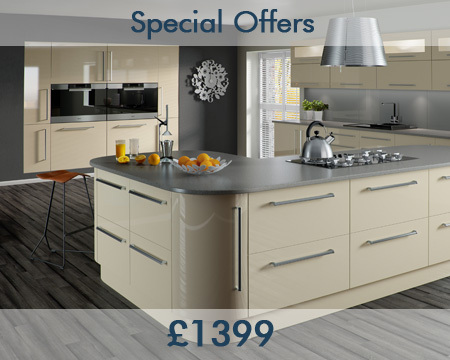 The quality of the kitchen is excellent and the fitting team friendly and helpful. Any little problems were ironed out quickly and nothing seemed too much trouble. Hi, I'm a potential customer for one of your kitchens and possibly some beds. I thought id send you an email as I am very impressed with your sales rep Abid Kahn and believe in credit where credit is due. I love the kitchen he has come up with for me although its a bit over my budget. He has been working on this for sometime today and trying to fit it around my budget and I appreciate the effort he has gone too to do this. From my past experiences with sales reps I have found them to be pushy and not 100% committed to customer satisfaction. This has not been the case at all with Mr Kahn and I have found him to be both very professional and understanding not to mention dedicated. He is a credit to your company. I will be recommending your company to family and friends. I hope to be able to do business with your company in the near future, whether it's for a bedroom or the kitchen. I just wanted to thank you for the outstanding job you have done in creating the kitchen of my dreams. Right through from the initial design, which totally devastated any ideas I had previously of how I wanted the kitchen to look and came up with something beyond my dreams, through to the final finished product, which is nothing short of amazing. Everybody who has visited since it was finished has had only one word to say: "Wow!!!" 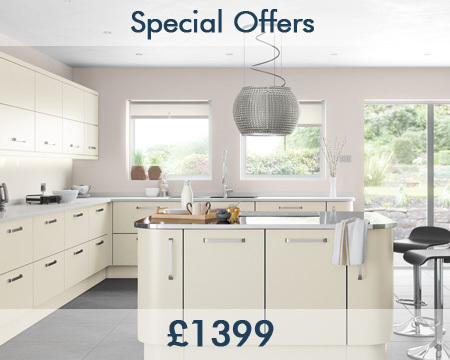 When I ordered the kitchen I said that I would be happy to provide you with a recommendation as long as you came up with the goods - I stand by that still - you did and I will. Many, many thanks.